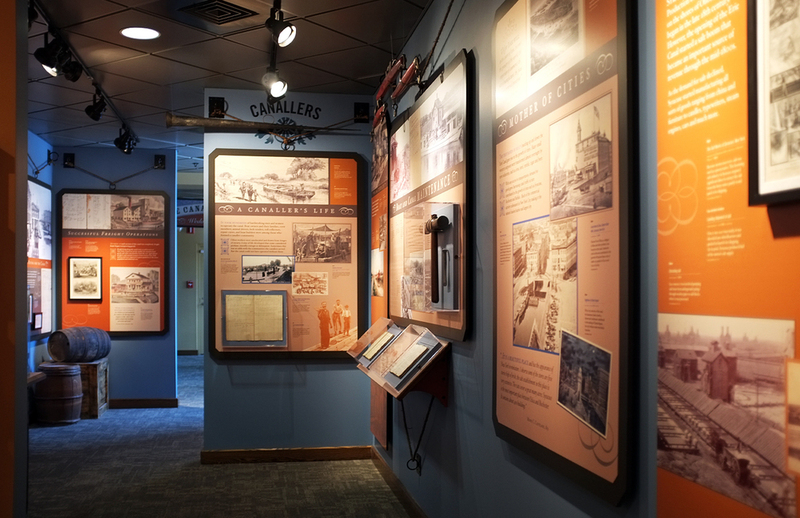 The Erie Canal was a 19th century technological achievement that transformed our nation, and that still captures the public's imagination today. The world's only existing Weighlock Building (entire barges were weighed to determine the tariffs they were to pay for use of the canal) houses exhibits that share the challenges that were overcome in developing the canal, the technological innovations that it's construction employed, the working of the canal, and the stories of those people who were dependent upon it for their livelihoods or sustenance. Steve Feldman Design worked with museum curators to develop themes, select objects for display, and communicate complex messages in ways that make them accessible, engaging, and relevant.